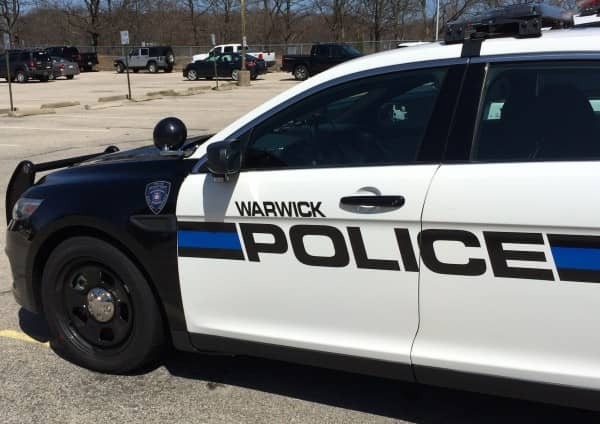 WARWICK — At about 10:40 p.m. July 14, Stephen Sina of Cranston was driving on West Shore Road headed toward Hoxie Four Corners when he saw a dark colored Nissan SUV swerving, nearly pushing another car into oncoming traffic, and alerted police, who found and arrested the driver on a DUI charge. Sgt. John Curley was among the officers dispatched to investigate the report, which was updated to include the SUV was a 2014 Nissan SUV, colored green. Curley spotted the SUV on Airport Road in the westbound lane, just before Commerce Lane, stopped with its hazard lights on. Curley stopped behind the SUV and approached the driver’s side on foot, identifying himself to the driver and informing him of the reason for stopping to talk. When asked why he had stopped, the driver, identified as David Bridges, 40, of 389 Vose St., Woonsocket, said he had pulled over in hopes of getting a ride home. Bridges said he was returning home from a friend’s house about a mile away and had been attempting to get home in Woonsocket. As the two spoke, Curley could smell a strong odor of alcohol on the man’s breath, according to the officer’s report. Curley also reported the man’s eyes were extremely bloodshot and his speech was slurred. The officer asked Bridges to step from the car for a series of sobriety tests, which Bridges assured him was a waste of time because he would pass the test. Curley noted in his report that the man swayed visibly on his feet while delivering the prediction. Bridges’ confidence proved unfounded, as he proceeded to exhibit a lack of smooth pursuit and involuntary eye movements in his vision, was unable to safely balance on his feet during the walk and turn test. During the walk and turn test, Bridges stated he wasn’t going to complete the test. When Curley asked him why, Bridges stated it was because he had had too much to drink and there was no way he would successfully complete the test. Curley applied this information against his training and experience, and arrested Bridges on suspicion of driving under the influence of alcohol. Curley transported him to Warwick Police Headquarters, 99 Veterans Memorial Drive, where Bridges refused to take a breathalyzer test. Curley charged Bridges with DUI, alcohol, first offense, Blood Alcohol Content unknown, and cited for refusing the breath test. His SUV was towed by City Towing.